Fall is here—it’s time for bonfires, sweaters, and all things pumpkin spice! 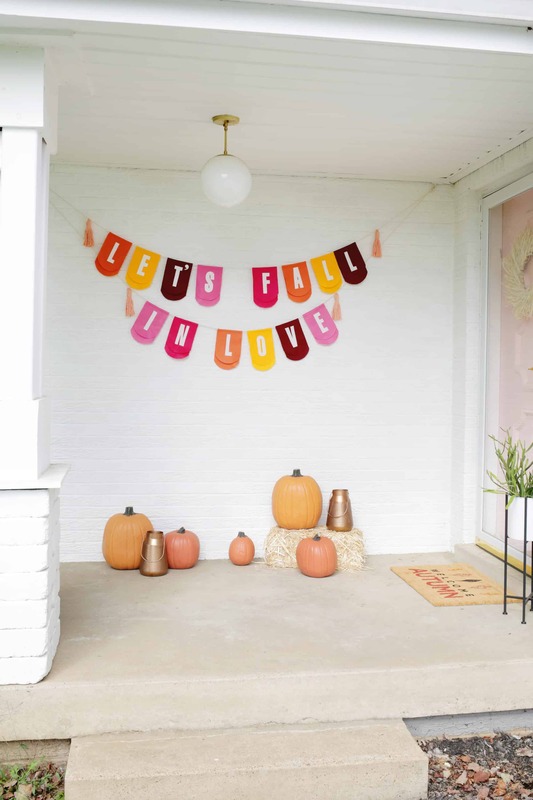 In your rush to stock up on cozy blankets and coffee mugs, don’t forget to give your porch a touch of fall as well! 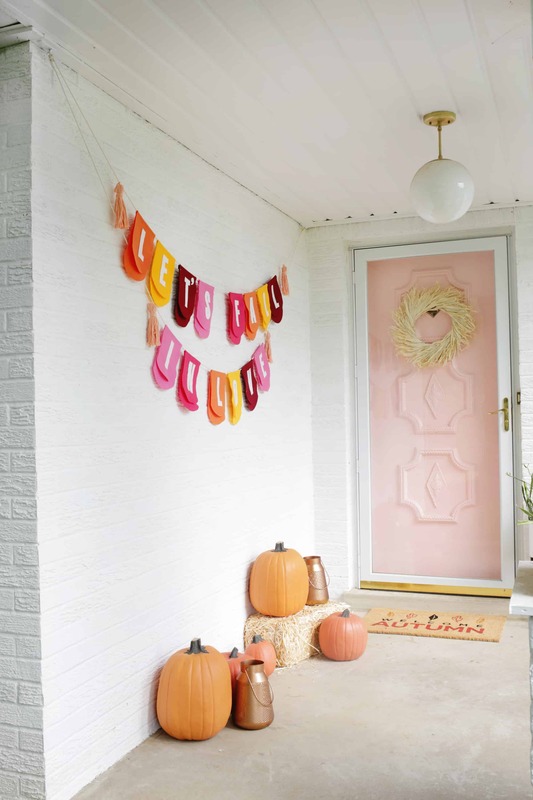 Porches are totally the “window to the soul” on the house, so it’s a good idea to give them some personality too and make use of seasonal decor. This post is sponsored by JOANN, and I was able to get all the items I needed for this project at JOANN! That is a big plus for a busy mom like me to get everything I need in one location—one-stop holiday shopping for sure! 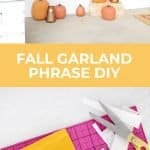 Here’s the DIY phrase garland I made to welcome fall in a super cute (and easy) way! 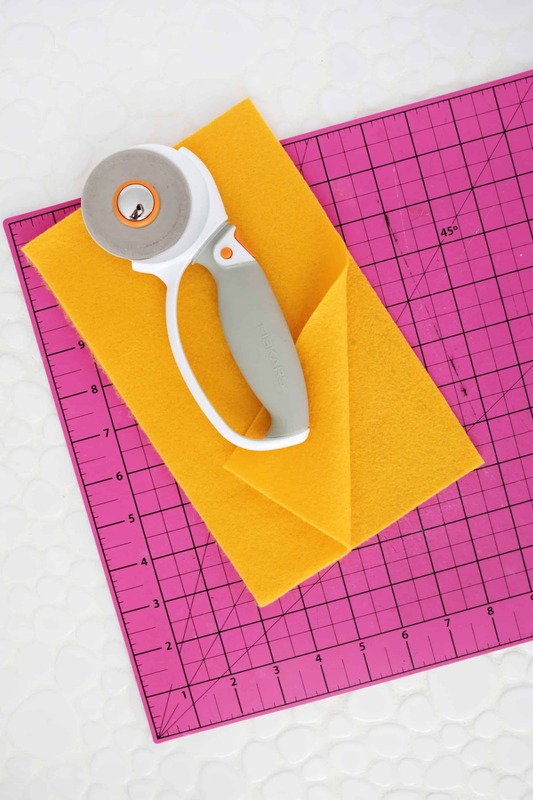 Fold your felt sheet in half so you have a 9″x 6″ rectangle and cut the sheet on the fold so you have two identical rectangles. Take a small bowl and place it near the bottom of your double layered felt. 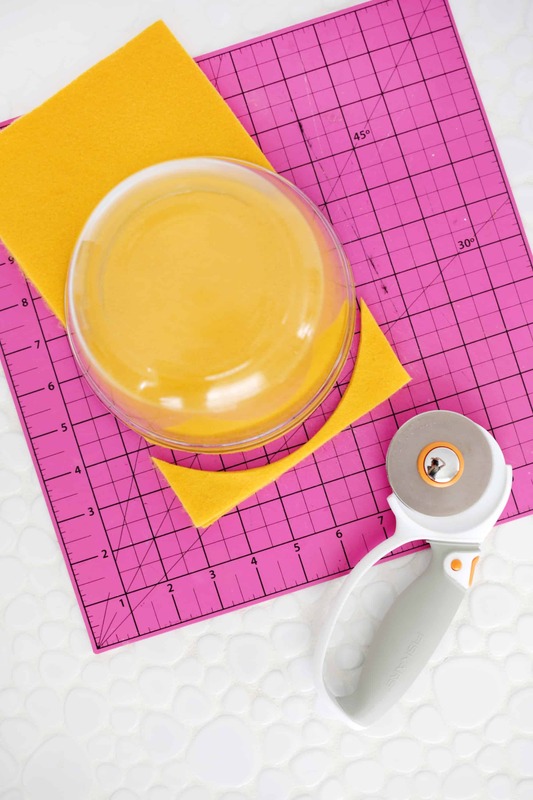 Use a rotary cutter to cut along the line of the bowl for a scalloped edge or trace the bowl line and then cut with scissors. 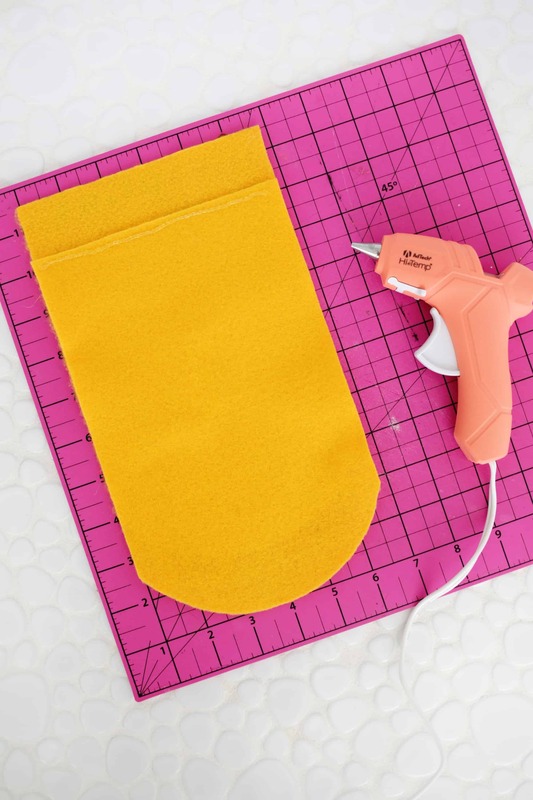 … fold the top of your bottom felt up onto the line of glue to create a little channel for your rope. 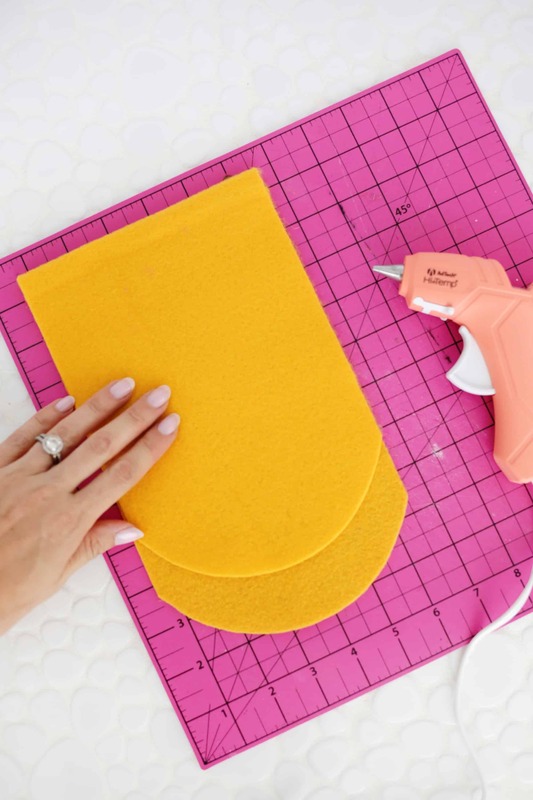 Flip your felt over. 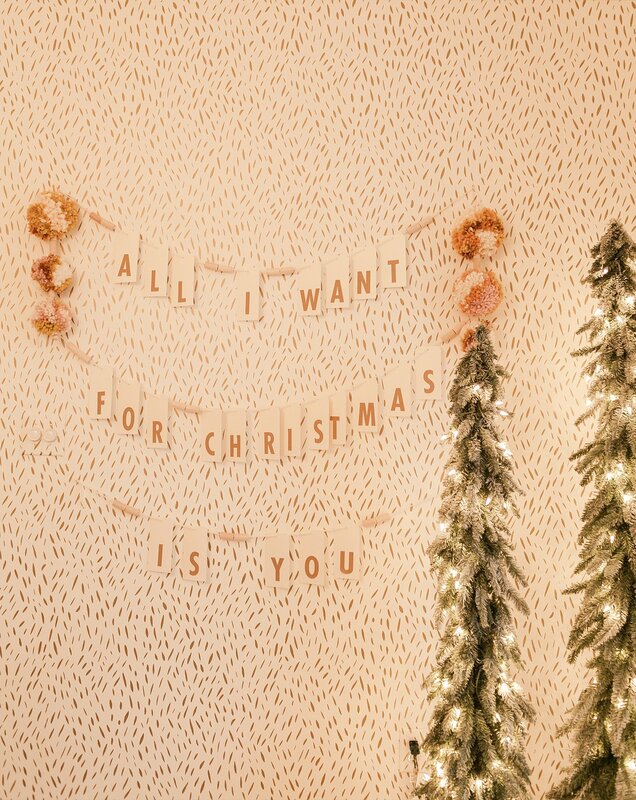 Cut out letters in a contrasting color that spell out your desired phrase. You can either freehand these letters or use large stickers or a font that you print and cut out as a guide traced onto the felt. 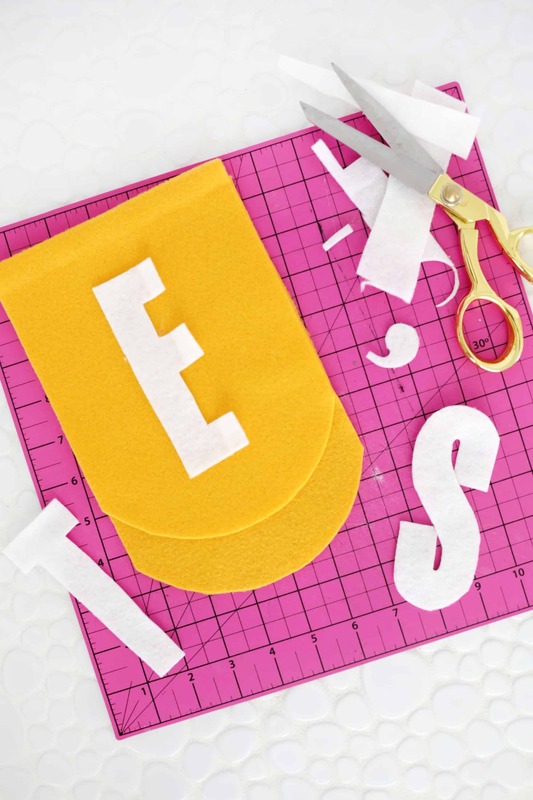 Use your hot glue gun to adhere the letter to the felt flag. 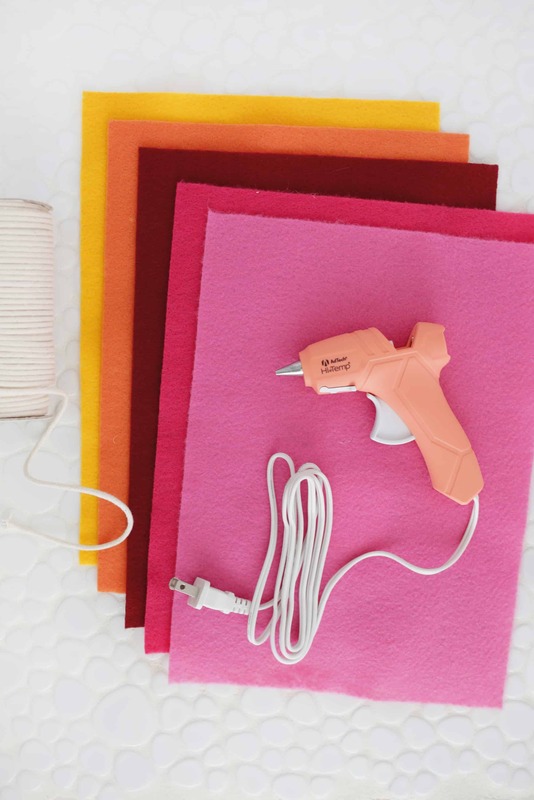 Once your letters are attached, you can thread the cord through your letters (you may want to wrap a few inches of the cord end with tape to stiffen it like a needle) and use hooks to hang your cords from. For a little more texture, I added a few yarn tassels (here’s a DIY on how to make them) to the sides of the phrases and I think they are a nice addition. Aw, yes, felt is so fun to work with! This banner is so cute! I need to make one for our house! Wow thx im creative but i wound never have thought of those things,My children love the creations! Ooohh this is so good! 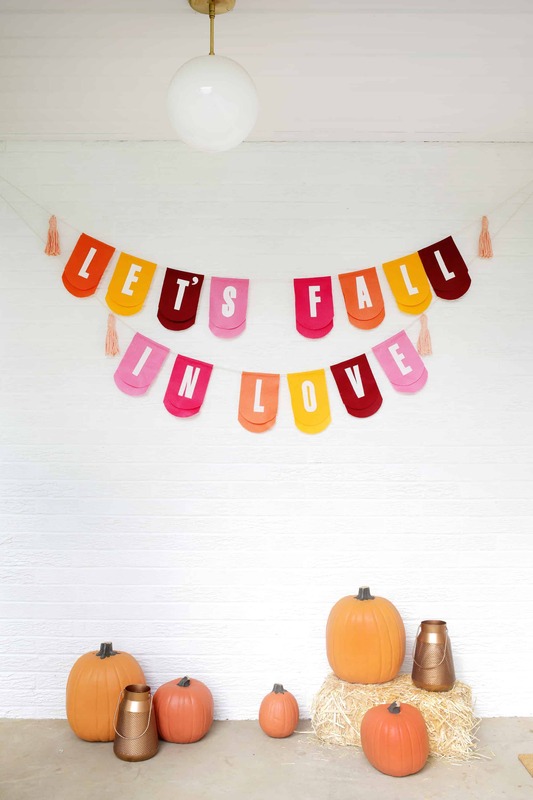 We don’t celebrate fall here as we’re in a tropical country, but this will look good in my daughter’s room! I will try making this… maybe in pink and purple? 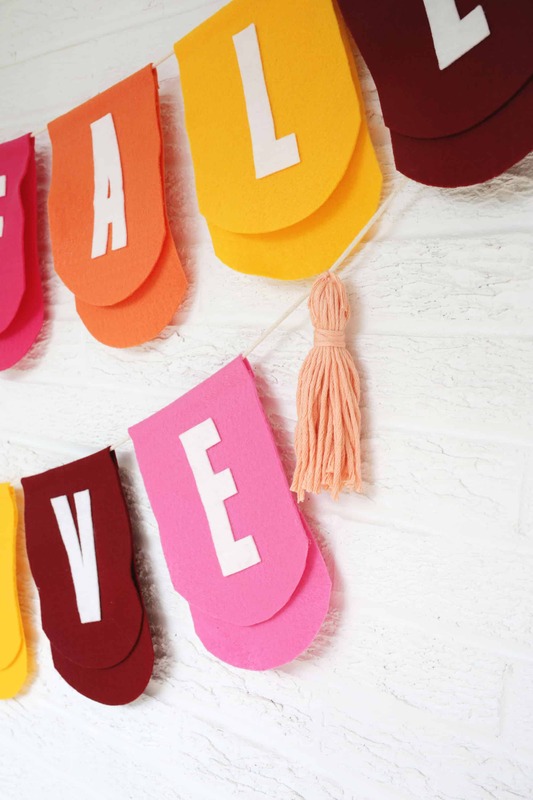 Love these bright fall colors – the pink is unusual, but truly you! What a beautiful way to decorate for fall, I really like the colors you used! 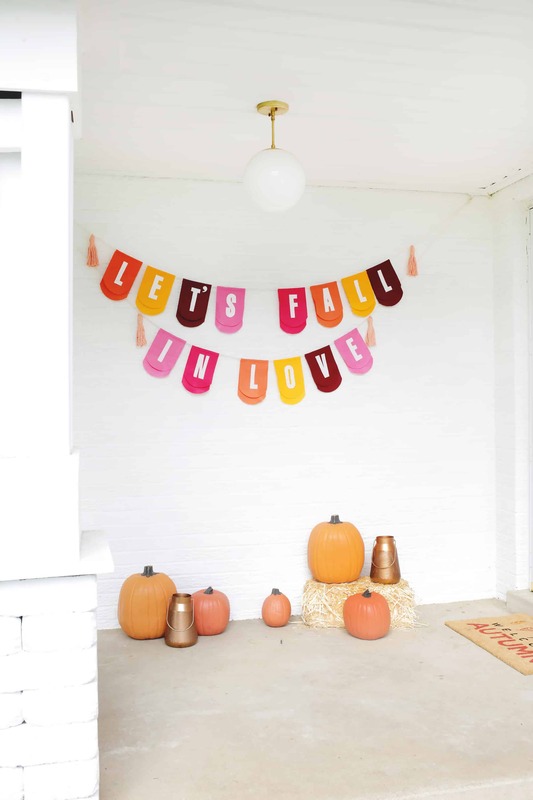 Fall is my favorite time of year to create festive decorations! We recently got the new Cricut Maker, so i would probably try to cut all of this felt out with it, to get the job done more quickly! 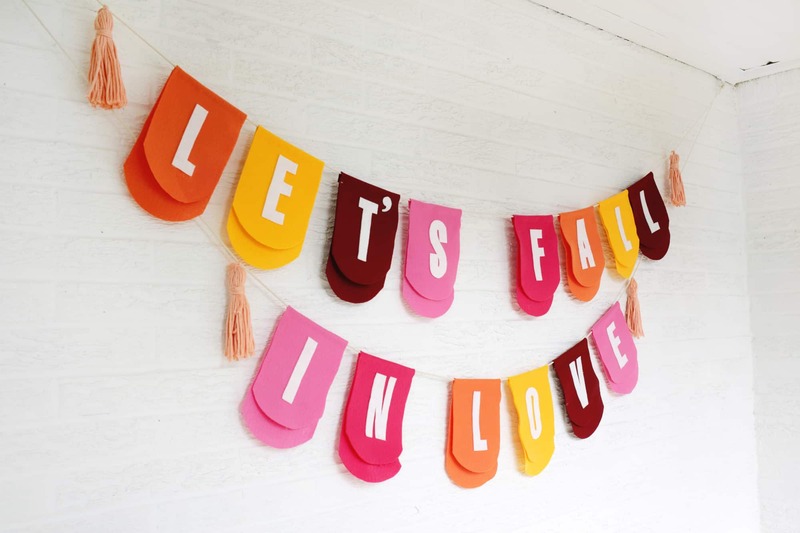 Love this adorable banner! Thanks for sharing! 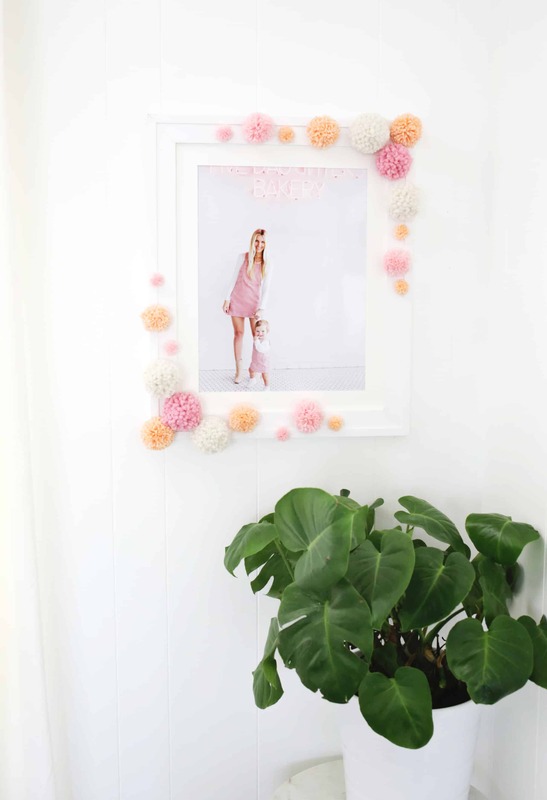 The colors you chose for this garland is beautiful. Overall, it looks nice. Thanks for sharing.